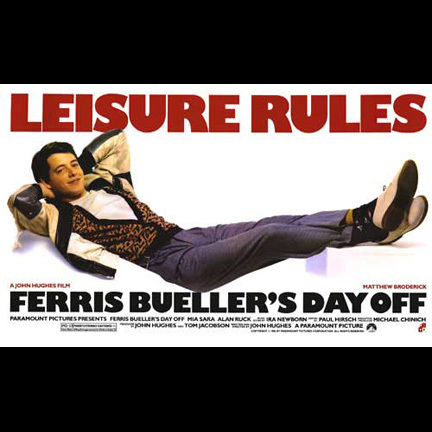 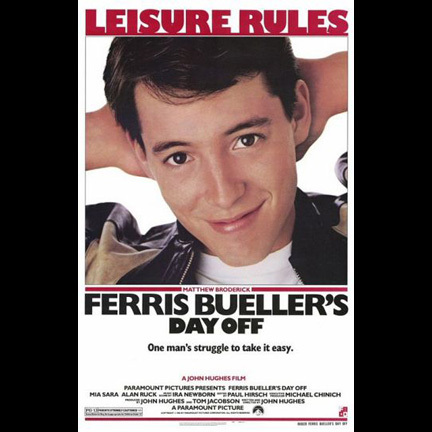 This actor's chair back was used by actor Matthew Broderick during filming the classic 1986 motion picture "Ferris Bueller's Day Off" directed by John Hughes. 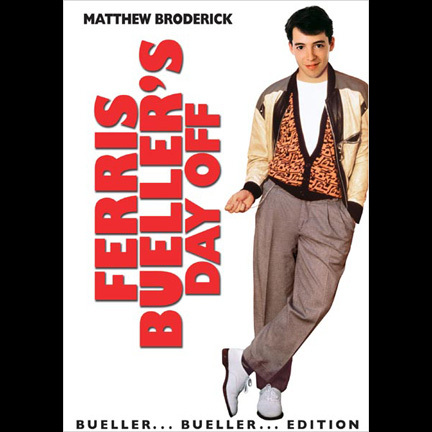 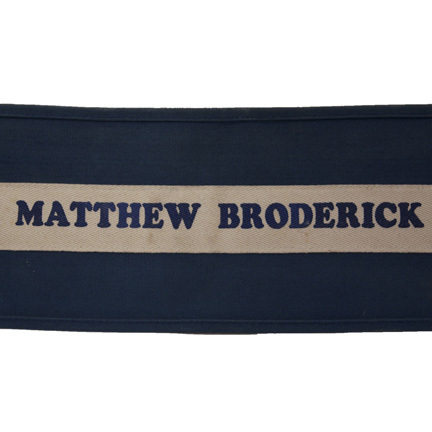 The chair back is constructed of blue canvas and has the character name "Ferris" on one side, and the actor name "Matthew Broderick" on the other. 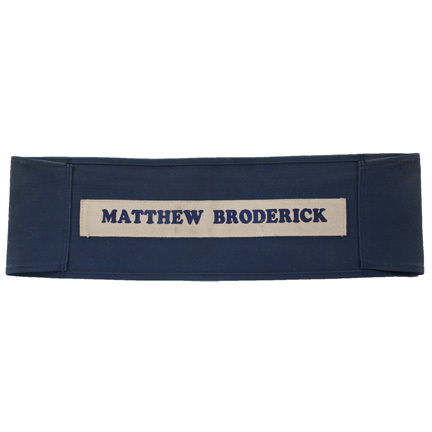 The chair back was the only one of its kind that was custom made for and used by Mr. Broderick between takes during filming. 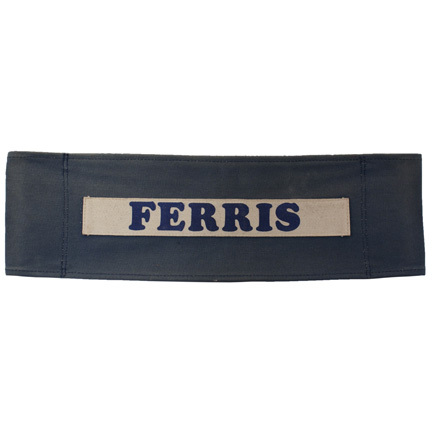 The chair back is in good set used condition with some discolorization and wear from its use on the production. 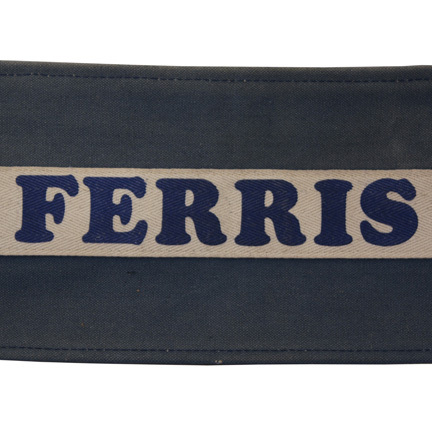 Accompanied by a letter of authenticity from the film's assistant property master.